Top off your day and your head with this fun-loving cap. 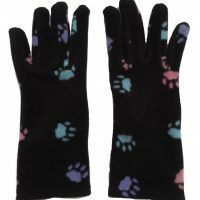 It’s soft and warm, and made of black fleece with a multi-colored paw print pattern. This fun-loving fleece hat will help to keep you warm on chilly days. 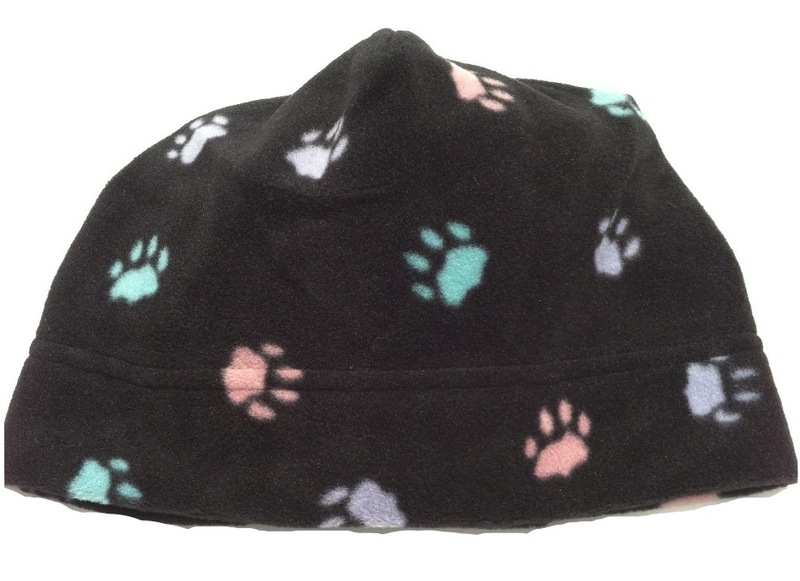 The beenie-style cap is made of warm, black fleece with a multi-colored paw print pattern. Matching gloves are available.